Edudemic has a great article entitled "The Must-Have Guide To Helping Technophobic Teachers". It explores ways to help non-tech savvy teachers get started using educational technology to improve teaching and learning. It has some great tips and points. 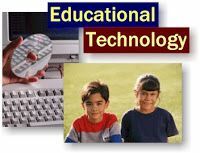 Over 2 years ago, I wrote an article entitled "Getting Started with Educational Technology" that also offered tips and ideas on how teachers could get started using educational technology successfully. Many teachers are afraid of new technology, set in their ways, or just overwhelmed with what is out there. Those of us that use educational technology on a regular basis need to help them use it based on their needs. Find out what they want to do and then share a technology resource that can help them do that. Show them how to use it, and then provide support for them as they implement it. Share online sites (like Tech&Learning), blogs and other resources that can help them. Start off with one or two tech's at a time so that they don't get overwhelmed. Educational Technology can engage students, expose them to new things, allow them to do different things, get teachers and students organized, differentiate teaching, learning and assessment, improve communications and so much more. How do you help newbies to tech get started?